It opens up new possibilities not just for modern mathematics research, but also for mathematics education. With Plimpton 322 we see a simpler, more accurate trigonometry that has clear advantages over our own. It's not clear from the story that Greeks didn't develop trigonometry independently of the Babylonians. In that case the Babylonians developed it before the Greeks. A lot more is required to say the Greeks learned of trigonometry from the Babylonians and thus didn't develop it at all. Much of elementary mathematics is developed and then independently redeveloped again and again by different cultures. This is extremely cool in many ways. This statement encapsulates pretty nicely what I despise about modernism. I'm astonished. Why does this have anything to do with modernism and why would you despise it? What's curious about this is that Dr. Mansfield must not know much about physics where we beat the crud out of angles, ratios, functions, convergence, divergence and apply it across local arenas on earth, space and conceptual ideals like electricity and magnetism. Life is very limited if one only dealt with whole number ratios-- I understand he is culturally excited and how young minds may find the approach to be a new way to look at essential right triangles in usage as well as a change of base system that could introduce the young minds to other number bases. However, this is not the end all be all nor a new math nor new science. It would help primitive builders or help our current young minds learn. Dr Mansfield said this approach overcomplicated calculations relating to Earth-bound things. "We're looking at them just as triangles, we're not importing any of these ideas from astronomy," he said. "The angle is perfect for astronomy, it's great, and it's really helped us out with understanding our triangles. "But it's not the only way to understand triangles. And yet in our culture we treat it as the only way." Today, high school students work out the angles of triangles and lengths of sides using trigonometric functions such as sine, cosine and tangent, which are ratios of sides. Modern trigonometry relies only on approximation. Or it's the author too who is limited in understanding of "modern trig". I'm not sure I understand their comments about accuracy. And what are they comparing and how? I wondered if it referred to the old published tables, with fixed numbers of digits of trigonometric function values vs. degrees that we used with slide rules. I've never used base 60 for arithmetic other than for the usual things eg clocks and degrees so I'm wondering what they mean really. Apparently the two of them have a book out and I may look at it. Also Wildberger has a lot of vids up on Youtube so maybe they'll make a vid explaining the details? The two of them are Mathematicians. Wildberger & Mansfield do have 4 recent video's up on this topic. Here's the playlist for any interested.. It's more the attitude that produces the man who said that, than what was said. The ancient world is teaching us all the time, has taught us everything. We've built civilizations upon it. The point is, the examples of the ancient world teaching us something we've lost or rejected over time or something we've never considered is not rare. It happens every day, every time someone reads Homer or Moses or Julius Caesar or Aristotle. That's not downplaying the discovery, mind you. It's an amazing discovery and, yes, it is teaching us something we've lost. But to think such things are rare, or to think it's amazing that ancient peoples were actually smart or (gasp) smarter than us is straight out of modernism. Ok. I think "inferior" is the wrong word. Do you think human civilization has progressed in the STEM disciplines since the Babylonians? The idea of progress is bound up in this comparison that says one civilization is more advanced than the other. I mentioned independent development of elementary mathematics within different cultures already. There are interesting differences between them and what they emphasize. I don't understand enough about the sexagesimal number system to even comment but it will have an effect on their development. Mathematics in Europe really accelerated after the Roman numeral system was replaced with the Indo-Arabic number system. Perhaps it's just old pride at work. It's always one of the seven sins. I wouldn't be surprised if Babylonians suffered from this too. Last edited by Rusty on Tue Aug 29, 2017 10:14 am, edited 1 time in total. Ok. I think inferior is the wrong word. Do you think human civilization has progressed in the STEM disciplines since the Babylonians? The idea of progress is bound up in this comparison that says one civilization is more advanced than the other. I mentioned independent development of elementary mathematics within different cultures already. There are interesting differences between them and what they emphasize. We put a man on the moon (among many other things) so, yes, I do believe we've progressed. In things like putting a man on the moon or even being able to speak to each other now via computers and the internet, we have 'advanced' in those fields certainly. The distinction which is often lost is the idea that because we are better at putting a man on the moon than the Babylonians, we think we are superior in everything. And we usually credit ourselves with our 'own' advancement, rather than tracing the line from Rockets back to Rocks and seeing how we could never have done it without those who have gone before us. Many moderns operate (often subconsciously) with the idea that because our math is better, then we are de facto better/smarter/etc. A 100-page document in an unmarked manuscript dating back to about 800 at the Cologne Cathedral Library, which had been digitized in 2002, is a copy of the earliest known biblical commentary written in Latin. The rediscovered Latin commentary from Fortunatianus now replaces St. Jerome's Vulgate as the earliest known Latin commentary of the Gospels. BIRMINGHAM, England - Missing for more than 1,500 years, the earliest known Latin commentary on the Gospels has been rediscovered at the Cologne Cathedral Library and was published in English this week. The biblical commentary, penned by the fourth century Italian bishop Fortunatianus of Aquileia, was originally rediscovered in 2012 by Dr. Lukas Dorfbauer, a researcher from the University of Salzburg. Fortunatianus’s manuscript was widely known to have existed, although many scholars believed it had either been destroyed or permanently lost. St. Jerome had also pointed to the existence of this commentary in his work, Lives of Famous Men. Who is ourselves? Who does it include and who does it forget or exclude? Perhaps we should be clear about that. Because there is an intellectual heritage. We're vaguely comparing STEM discipline progress, without a lot of details in support. That's all. And our intellectual heritage may not include the Babylonians. That we're surprised by a Babylonian tablet suggests that. Civilizations advance in knowledge. As soon as you admit progress then advancement is there. It's not about better or smarter. They are the same species as we are. So we are going to see genius in some of their works. It is about advancement. Modern mathematicians who are aware of mathematical history see the Classical Greek mathematicians as another school in mathematics. This is implicitly a recognition of intellectual heritage. By contrast in the natural sciences, with very few (but important) exceptions, they are not considered peer schools. Historically, it was a very important development step for our civilization to let go of authority - from the Royal Society "Nullius in verba". Maybe pride accompanies that development. And Wildberger and Mansfield are excited about the Babylonian development. We can absorb the Babylonian development but the Babylonians cannot absorb our developments. Time does mean there is a bias. I'm having trouble understanding why you put some emotion into this. "inferior" and "despising" "smarter than" "better than" - why are you interpreting it this way? This is your choice of words. Considering that we're also the last Neanderthals I think we're doing pretty well. It's because of the way that "modernists" sneer at traditional Christianity as obsolete, oppressive, etc. Nothing "old" can be good, we've outgrown those old parochial ways, etc, so there is always some element of surprise when we are "taught" something by old things, especially ancient things. It's his experience being sneered at by such moderns that bleeds over here. That's a good summation. It was an offhanded observation of a prevalent attitude, rather than a comment on the actual substance of the article. Wildberger and Mansfield are not sneering. Go look at the vids I referenced below earlier this am. They've poured a lot of effort into this and they are the ones who are telling the story. So it's unfair to accuse them of this negative value-judgement. They are enthralled with this story and the differences in the Babylonian approach. It's misplaced to accuse them of this. We've also already seen examples where the journalists have the got the story wrong (eg the Greeks developing trigonometry). This tablet has been known for quite a long time now and for it to be generating news still is interesting. I think we should remember that most of humanity today isn't arguing about how to interpret quantum mechanics, for example. I don't know what proportion are arguing about who is consigned to the pit of hell and for how long but that's probably closer to the average. The range of topics that is pertinent to humanity today is breathtaking. And that's the way we should look at it. We should also remember that most of those topics are forbidden here. 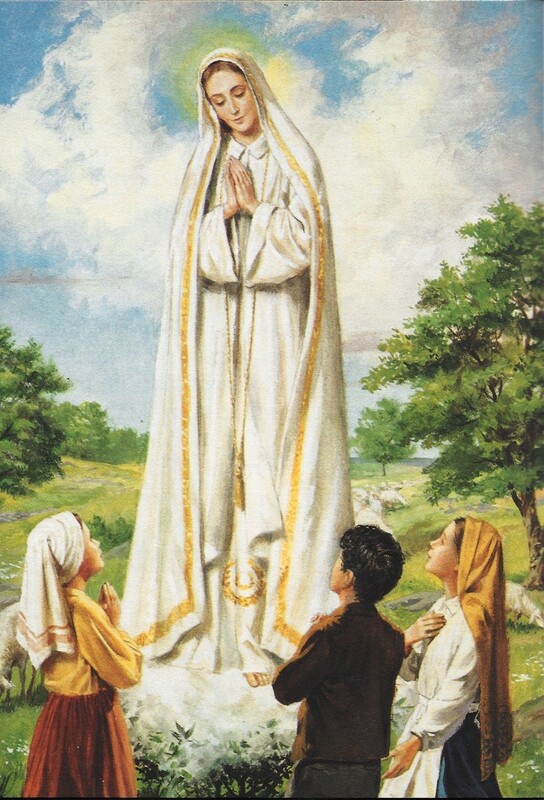 It seems to me that the Fatima apparitions would be banned as being too political. At the very least, it would be a limit-case that would stress-test the new normal. If you really want to shake system, just start preaching Fatima. Think about it: Our Lady of Fatima, Patron Saint of Rusty! Time to do your research! I think one has to be religious to understand your reply. My vision of what I said is completely different. The handle to an eighteenth-century German-made beer stein is the only item to have been found in the pit so far, but the outhouse could yield thousands of discarded artifacts, in addition to information on the health and diet of the Revere family.